The fettuccine carbonara at Mezze is one of the best I’ve eaten and I would order it every time I’m there. 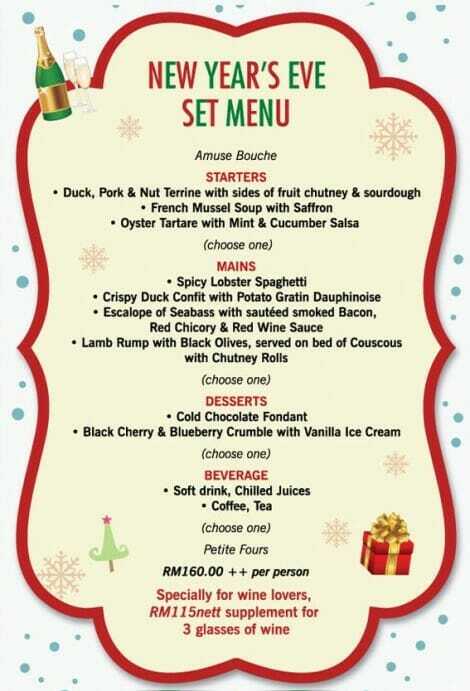 That said, this bistro also serves dishes inspired by the flavours of France, Spain and Italy, evident in this year’s festive menus, based on Chef Yves’ fun and festive interpretation of choice ingredients. 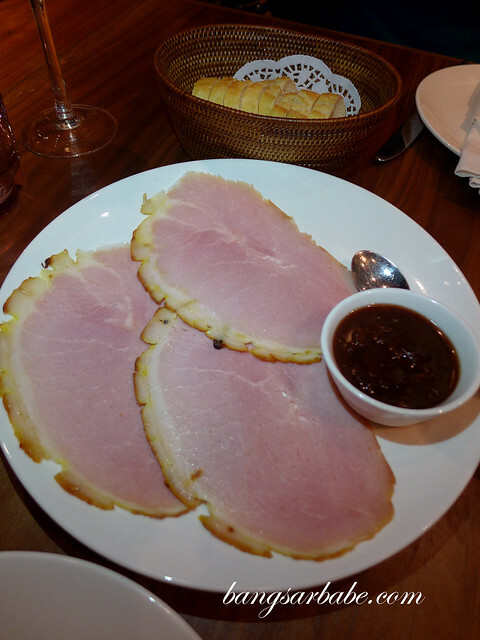 We started with a beautiful pink Christmas ham, served with raisin sauce – well cured and tasty. 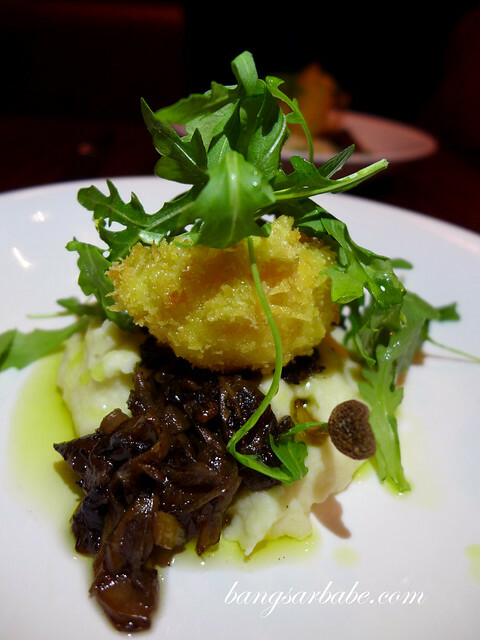 Crispy duck egg comprised a whole duck egg, breaded and deep fried and served on a bed of sautéed mushrooms and celeriac puree. 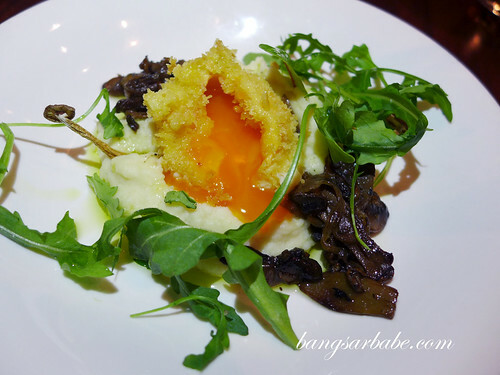 Best part, the yolk was still runny and added richness to the overall dish. 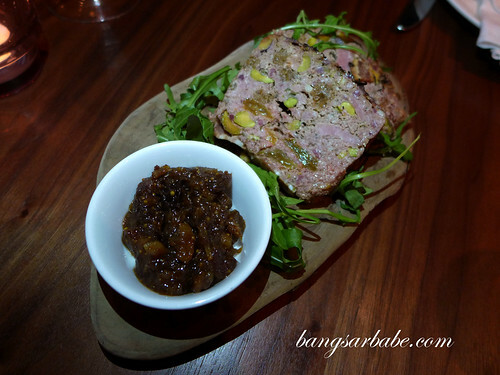 I wasn’t that big a fan of the terrine de foie gras, although I must say it was flavourful. Albeit a bit too nutty for my liking. 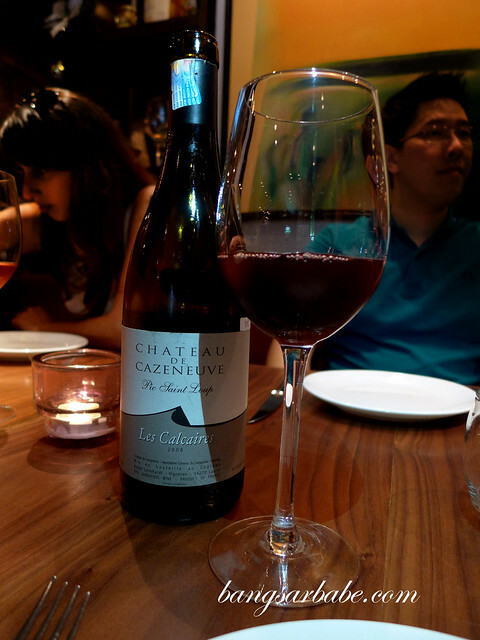 This came with a side of prune Armagnac and sourdough slices – very rustic! The foie gras and black truffle sausages were prepared “boudin blanc” style with milk and breadcrumbs added in. I found the texture a tad dry as there wasn’t much fat from the meat to give flavour and moisture. That said, the mash was fabulously smooth and the caramelised apples were nice and tender. 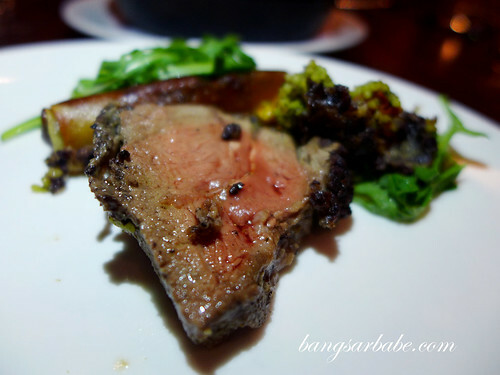 I also got to try the lamb rump from the New Year’s Eve menu, made with honey and black olives. The meat was cooked to medium doneness, perfectly tender and well accented by the olives. I also liked the cous cous it came with. It contained bits of cashew nuts, sundried tomatoes, mint and coriander – fluffy and a good complement to the lamb. Even the roll (made with figs, pear and plum) was delicious. 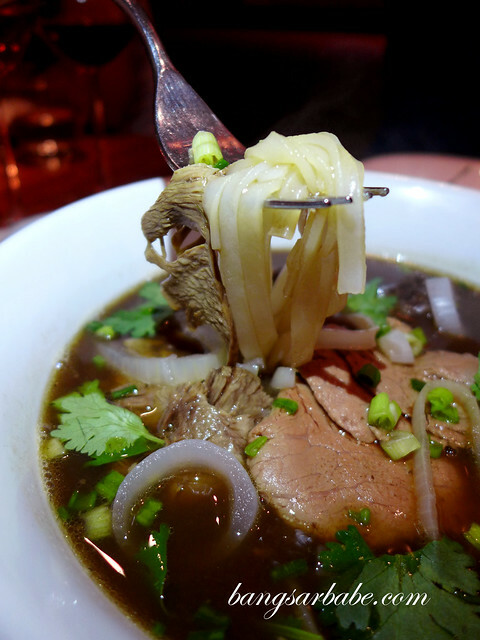 Mezze’s version of Vietnamese Pho (a set lunch special), made with oyster blade and oxtail and the broth was slow-cooked for 5 hours. I drank every drop. To end, we had the cold chocolate fondant (from the NYE menu). 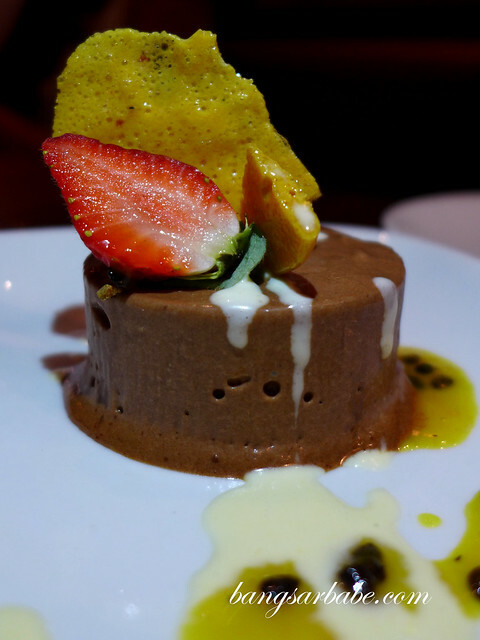 Not something I’d go gaga about but it is something chocolate dessert lovers might like. 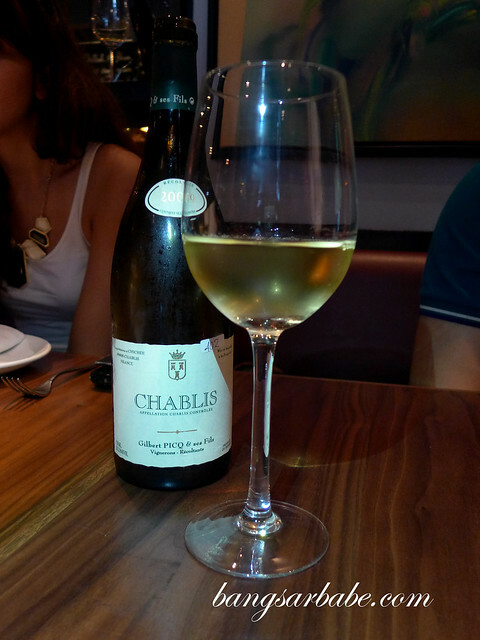 For those who want some wine to go with the set menu, you can top up and additional RM115 for 3 glasses of wine. 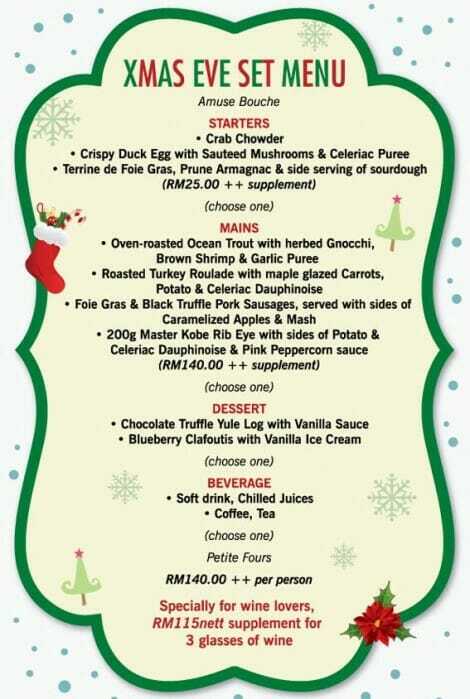 *The festive weekly specials are available from 26th November up till New Year’s Eve. For more information, visit Mezze’s official website here.